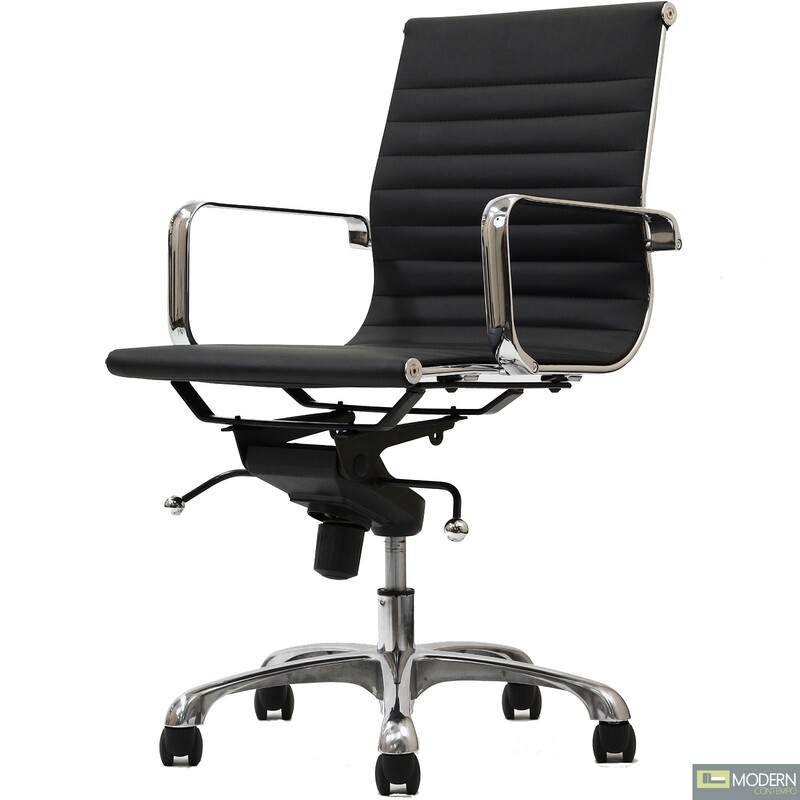 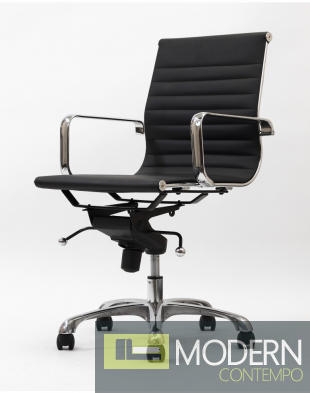 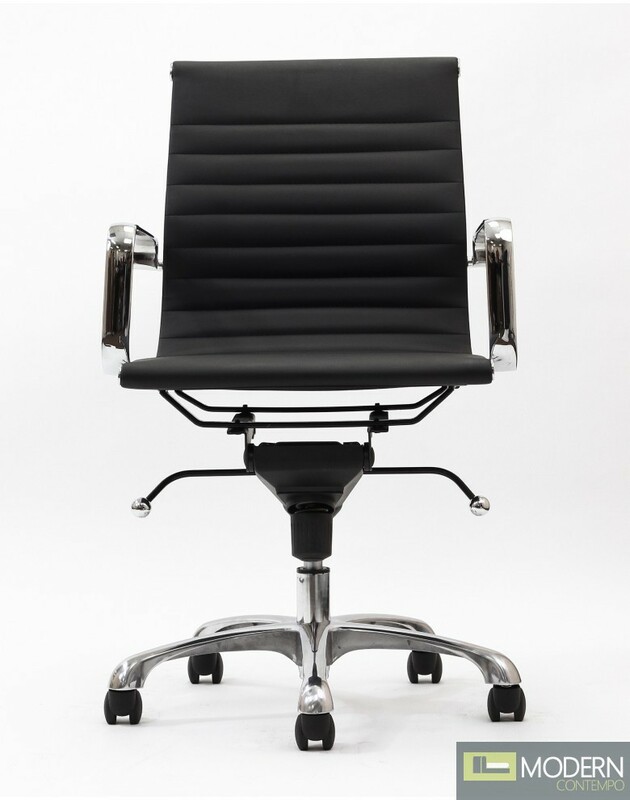 Sleek office chair with black vinyl seat and back, supported by chrome plated steel. 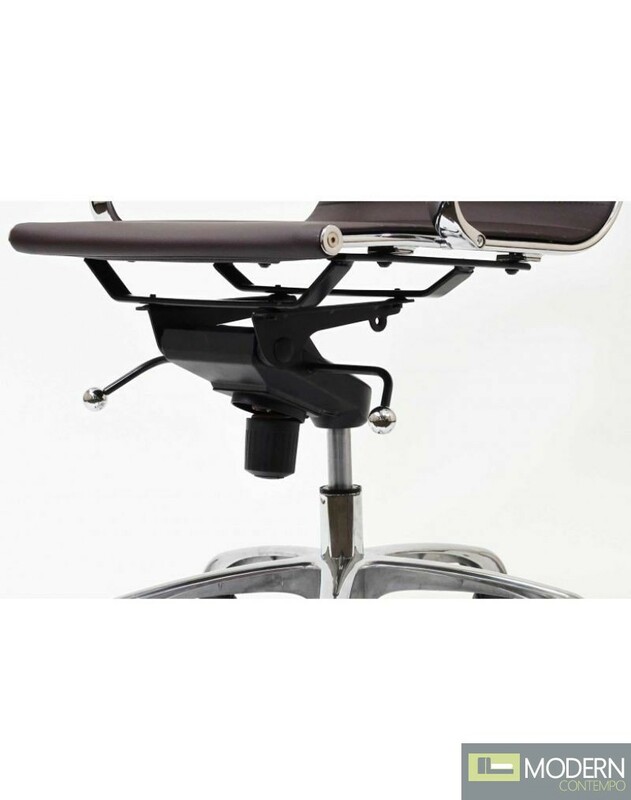 Seat has an adjustable height, locking tilt, and a rolling base. 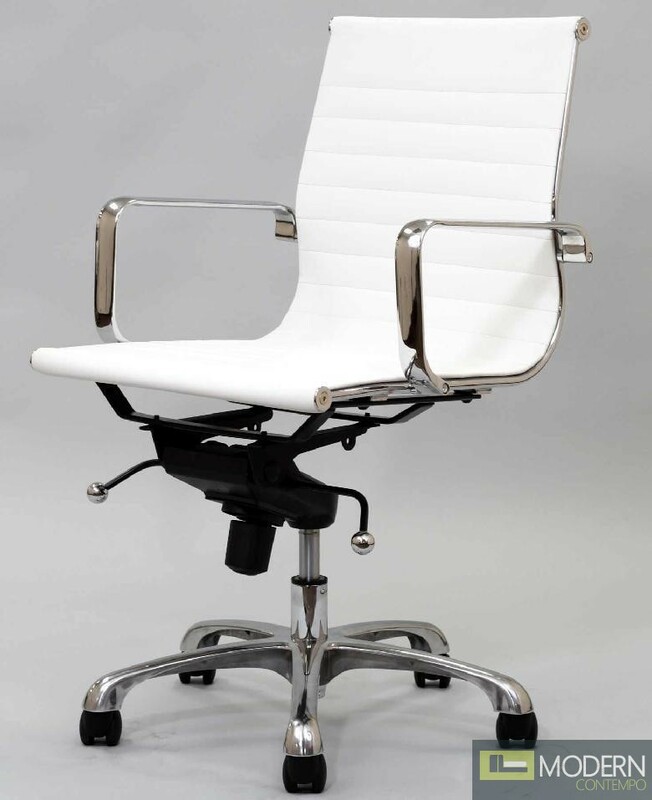 The arms are removable.